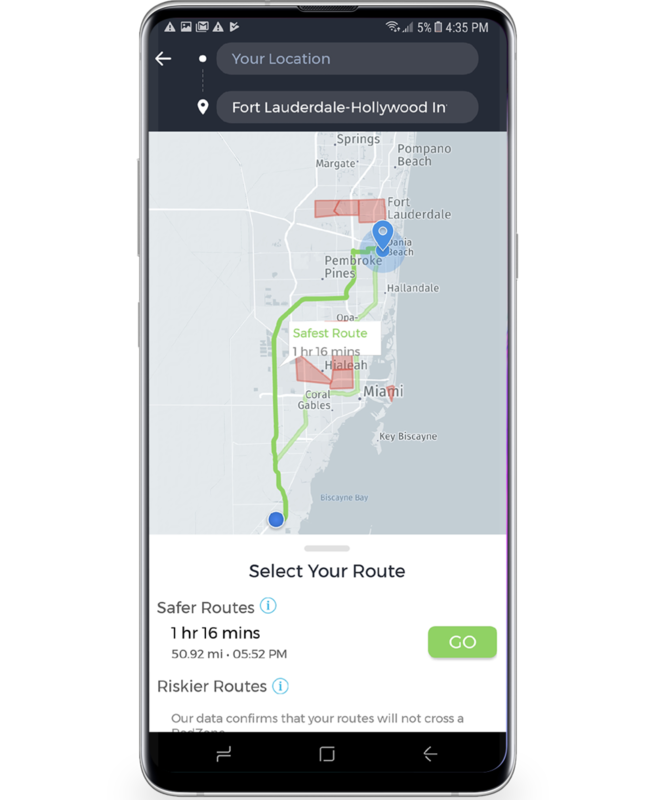 and risky routes based on crime, safety, traffic conditions, and much more! It is our goal to reduce a traveler’s risk by being their source of safety during their travels. Whether it’s at the gas station, on the road, staying at a hotel, or even touring a city. Clear and intuitive interface that allows you to get to your destination with ease. Get there safely with our speed limit indicator and our voice guided assistance. Our gps navigation technology not only shows you the quickest route to your destination, but also puts safety awareness at your finger tips. Using reliable government crime data, we’re able to determine the quickest and safest routes to your destination. Unlike Waze or Google Maps, we give you the visibility you need to arrive safely. Available in Driving Mode Only. Be aware of your surroundings using our proprietary Safety Meter. Whether you’re searching for a restaurant to go dine this evening, or looking for a particular business, we’ve added a crime indicator to help keep you safe throughout your journey! We’ve taken one of Google’s features and enhanced it with tons of safety features just for you! 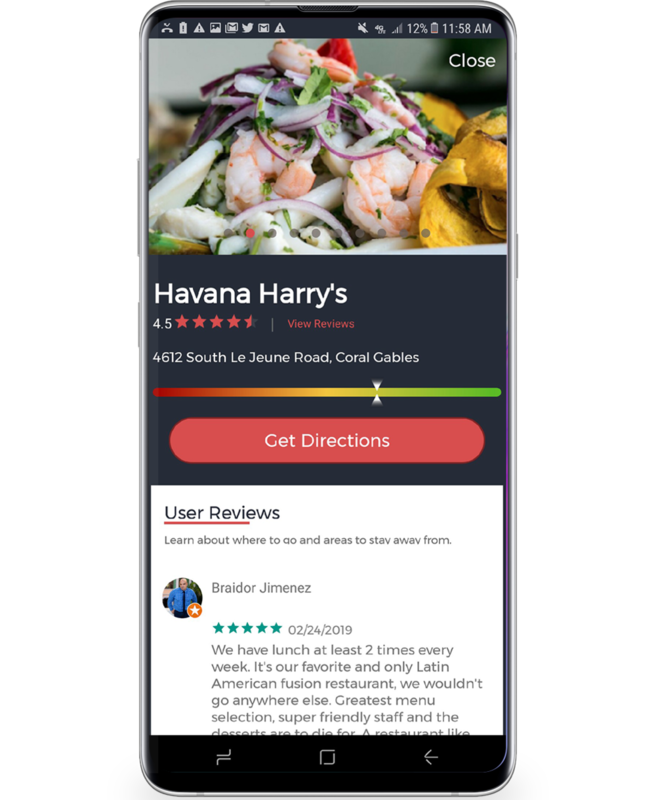 User Reviews, Location Photo Gallery, Safety Meter, and User Ratings, combined give you a complete picture of the location you intended to visit, along with a community centric feedback on other members experience. We provide you with the power to be informed and make decisions that help keep you safe throughout your travels.